The second stop on the ‘West Coast Swing’ is the Farmers Insurance Open, formerly known as the Buick Invitational and now in its ninth edition as the current sponsor. The field is split over the opening two days with each player alternating between the North and South courses before the cut sees the remaining field compete over the weekend around the South course, which is renowned for its length as the longest layout for a regular PGA Tour stop and its difficulty tee to green. 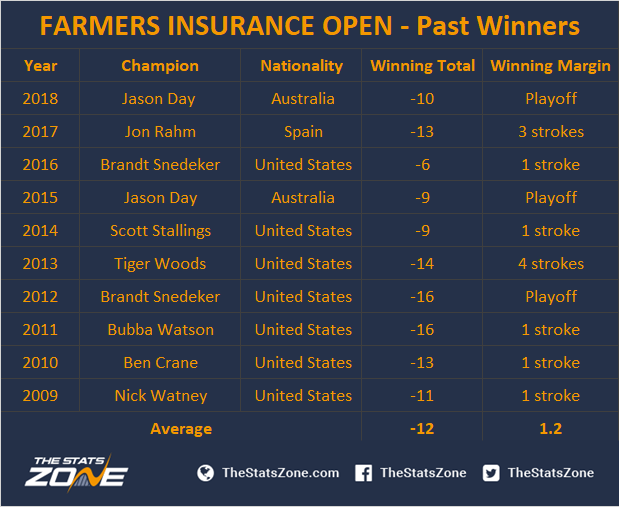 As one of the most demanding regular tour stops, the Famers Insurance Open has always attracted a high calibre field, resulting in many of the biggest names being crowned as champions. Due to its scheduling early in the season, weather conditions are often cooler making the South course play its full length which has often meant scoring is relatively high and pars are more common than birdies. The average winning total over the past ten editions is just 12 under par with a low of -16 in both 2011 and 2012, with the highest at -6, a score more associated with major championship golf. Furthermore, due to the demanding nature of the courses, few players have dominated with the average winning margin being just 1.2 strokes with three playoffs. 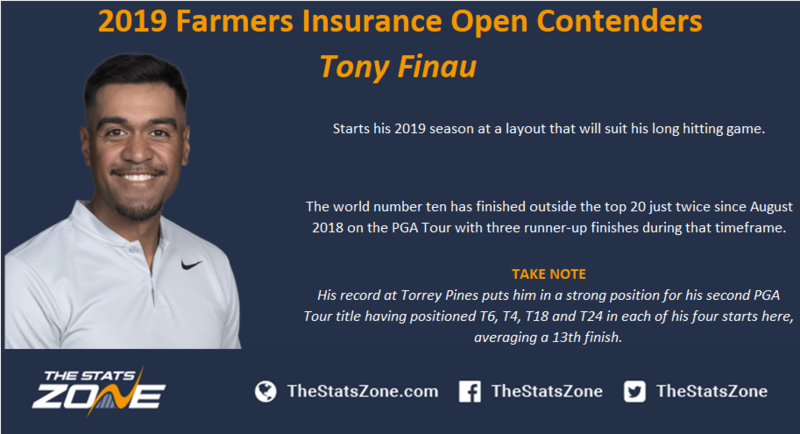 Tony Finau starts his 2019 season at a layout that will suit his long hitting game. The world number ten has finished outside the top 20 just twice since August 2018 on the PGA Tour with three runner-up finishes during that timeframe. His record at Torrey Pines puts him in a strong position for his second PGA Tour title having positioned T6, T4, T18 and T24 in each of his four starts here, averaging a 13th finish. Jason Day – former world number one – got his career back on track last season with two PGA Tour victories. The now world number 11 has started the new season consistently with four straight top 20 finishes having finished last season with six in his last eight starts. No one can match his record here in recent years, with two victories (2015 & 2018) and a runner-up in 2014. Expect him to contend again this week. 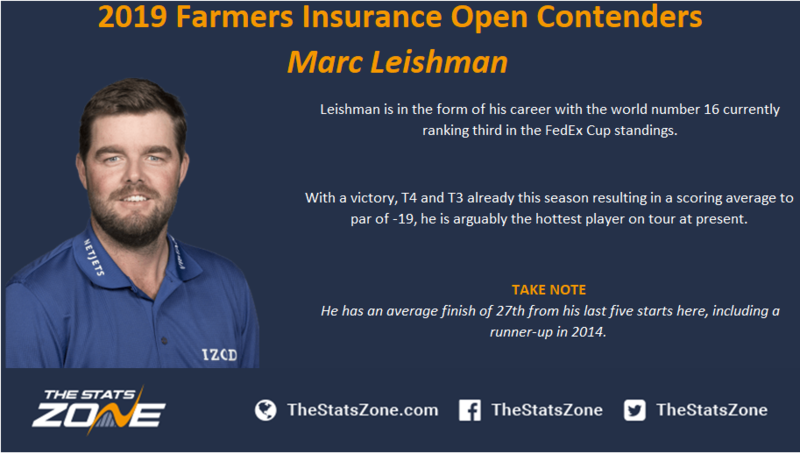 Marc Leishman is in the form of his career with the world number 16 currently ranking third in the FedEx Cup standings. 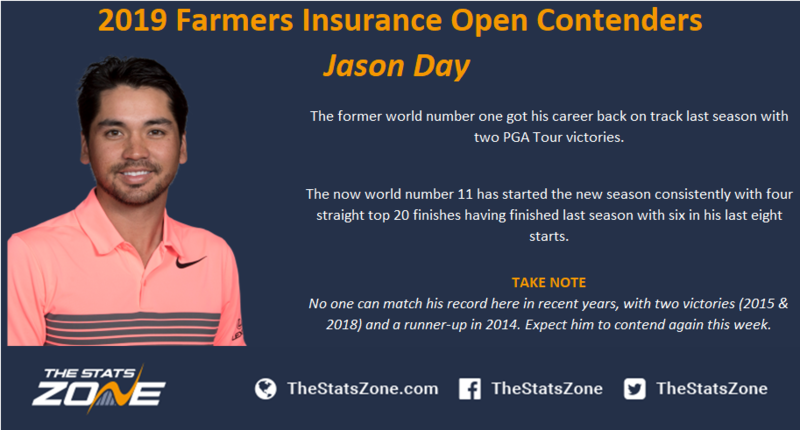 With a victory, T4 and T3 already this season resulting in a scoring average to par of -19, he is arguably the hottest player on tour at present. Notably, he has an average finish of 27th from his last five starts here, including a runner-up in 2014. 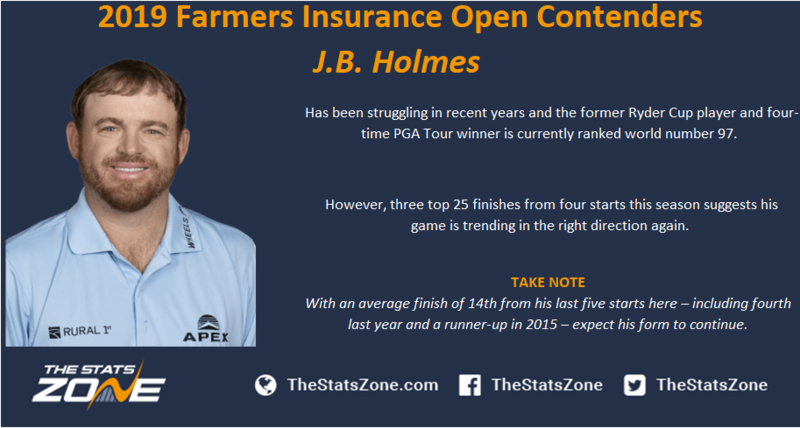 J.B. Holmes has been struggling in recent years and the former Ryder Cup player and four-time PGA Tour winner is currently ranked world number 97. However, three top 25 finishes from four starts this season suggests his game is trending in the right direction again. Additionally, with an average finish of 14th from his last five starts here – including fourth last year and a runner-up in 2015 – expect his form to continue. 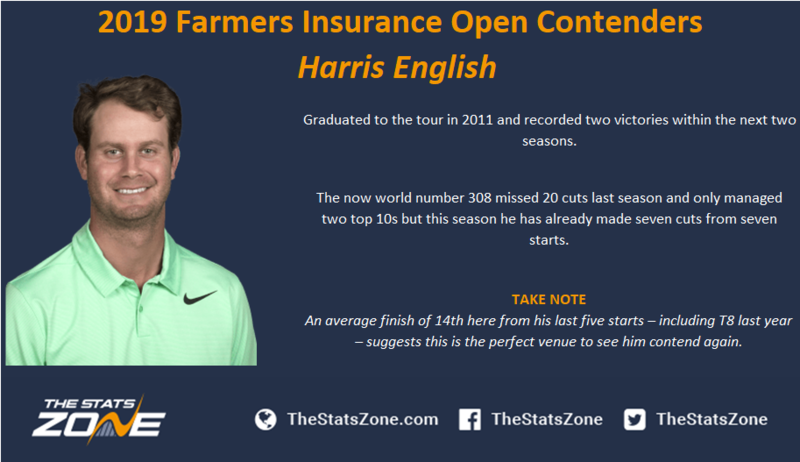 Harris English graduated to the tour in 2011 and recorded two victories within the next two seasons. The now world number 308 missed 20 cuts last season and only managed two top 10s but this season he has already made seven cuts from seven starts. An average finish of 14th here from his last five starts – including T8 last year – suggests this is the perfect venue to see him contend again.